The Southern Poverty Law Center’s latest Associated Press release entitled, Baffling beliefs mark Sovereign Citizen theories, is the organization’s most recent effort to marginalize large blocks of the population it deems to be a domestic threat. Closer examination of this, as well as other documents, reveals a systematic pattern of media manipulation and disinformation aimed squarely at the American people. In the latest release the Southern Poverty Law Center (SPLC) identifies, “the number of people who now consider themselves sovereign citizens, Americans above the law who adhere only to the Constitution and follow a revised history of the United States”. For any students of critical thinking, the SPLC is employing a 20th century propaganda technique know as doublespeak. Here the SPLC attempts to construct the doublethink idea that such Americans who adhere only to the Constitution are “above the law”. Next it offers out proponents of sound money by railing against them, “The gold standard and bankruptcy: Belief that the country went bankrupt in 1933 when it suspended the gold standard and no longer had collateral to back its loans.” By spinning the conversation in one direction, the SPLC uses what is actual fact in the US and what few economists and historians will argue- that the country is bankrupt and has no real collateral for its loans, but then proceeds to paint this real-and-present economic reality as a ‘conspiracy theory’ propagated by so-called extremists. And finally, in a grand demonstration of doublespeak that would dazzle even Eric Blair, the SPLC uses the accusation of “Straw Man” claiming that domestic extremists have concocted a series of false ideas in order to attack the ruling establishment. This is an interesting double-reverse spin move on the part of the SPLC. The irony in such a claim made by an organization like the SPLC could not be any more poetic, as they themselves have worked tirelessly, and spent countless millions building legions of their own Neo-Nazi and white supremacist ‘straw men’ in order to discredit multitudes of genuine modern political movements, fledgling activists and paleoconservative groups- a fact evident throughout their own activities and published reports. 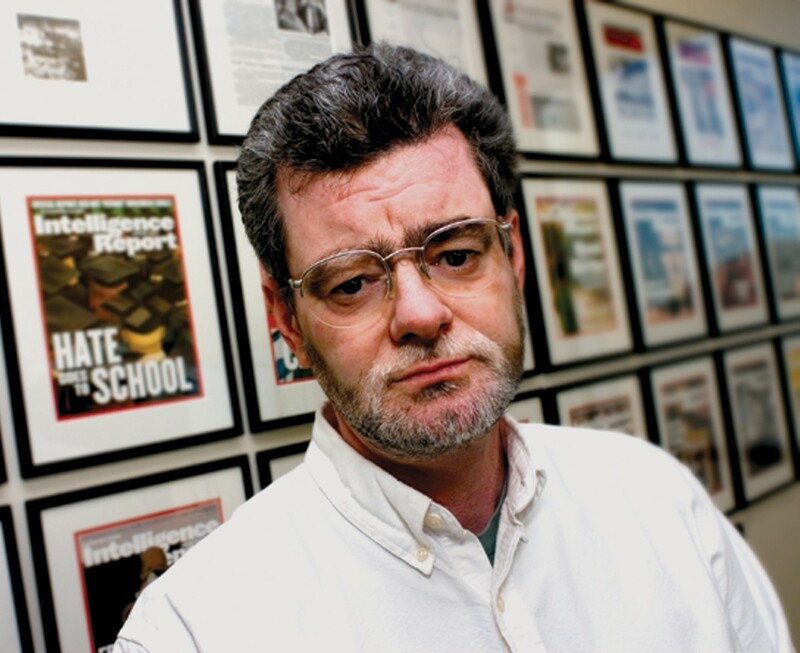 Controlling the market on ‘hate’: SPLC’s media mouthpiece and agent of influence Mark Potok. By using textbook doublespeak, the SPLC aims to propel further doublethink into the national public conversation, with the ultimate aim of creating a groupthink situation, where most Americans are mindlessly parroting the same lines they have been fed by the mainstream media outlets. The object of this game is to first frame and thus control all debates which fall into the categories that this organization has flagged as ‘dangerous’ to America. When the SPLC says ‘extremist in the military’, what it really means is any soldier who it identifies as belonging to, or affiliated with any group, or group sub-set that the SPLC itself defines as “extremist”. According to the SPLC this might include anyone who is affiliated with Patriot groups, Immigration reform, Anti-abortion, 911 Truth, We R Change, Oath Keepers, Ron Paul, Rand Paul, Gun Owners of America, and the list goes on. Genuine citizens concerned about the dangers of domestic Cointelpro and propaganda campaigns would do well to take a closer look at the organization known as the Southern Poverty Law Center and also pay attention to the predictable spin which it continues to shamelessly produce on cue. It’s also interesting to note how the SPLC uses its cloak of nonprofit status and gains an almost direct pipeline to nearly all of the major US media outlets. In PR terms, this is a near military operation and cannot be achieved without coordination from the higher echelons of both sides of that equation. The SPLC was founded in 1971 by civil right lawyers Morris Dees and Joseph Levin Jr., and by anyone’s estimate, this organization would have been a key chess piece in a post-reform South where political power struggles and spheres of influence rubbed together to form the political landscape we have today. This is also an organization which has, on record, been penetrated and used by the FBI. Their current head of Intelligence, Mark Potok, has curiously been attached to past events including the 1993 siege in Waco, the rise of militias, the 1995 Oklahoma City bombing and the trial of Timothy McVeigh. Hardly the “objective observer” it advertizes itself to be, the SPLC has become a trusted dispenser of carefully selected talking points which form a wider political agenda, synchronizing its messaging with similar US-based front organizations like the ADL, the ACLU and AIPAC. Note the timing and frequency of their releases which always precede or follow certain domestic current events and which are almost certainly inserted to suppress real debate and discussion on real issues which are facing the United States. It advertises itself as “The Southern Poverty Law Center is a nonprofit civil rights organization dedicated to fighting hate and bigotry, and to seeking justice for the most vulnerable members of society.” The SPLC’s own 2009 financial report boasts a total operating fund support and revenue of over $31,000,000. No doubt this bureau employs some young community legal workers and may even perform some cursory function helping certain people in need, but it’s main function has become that of a media spin machine. We can see that it has the financial resources and media clout to run heavy and sustained information campaigns, as well as physically target its stated adversaries, namely Patriot groups, lawful local militia groups and Constitutionalists. It is, in effect, one of many attack dogs used by the ruling elite in order to dilute genuine dissent amongst the growing ranks of vocal Americans. Interestingly, it advertizes itself to be the self-appointed defender against domestic extremists, while at the same time the SPLC is promoting the likes of Bill Ayers (including a link between the FBI’s and the SPLC’s websites), a man actually convicted of domestic terrorism as he carried out a series of bombings within the US. There are many publicly documented links between the SPLC and the FBI which should really raise suspicion as to the depths to which this supposed nonprofit entity actually goes, most notably the SPLC’s links to informants within the FBI alleged ‘sting’ operation at Elohim City and direct connections to Oklahoma City bomber Timothy McVeigh. More recently, the SPLC has provided close coverage of FBI informant Hal Turner and his bizarre trial- a story of minor importance in grand scheme of current events, but very telling by the fact that the SPLC will shepherd along such a story where a compromised FBI informant is implicated. All these connections between the FBI and the SPLC are of course, no mere coincidence. Any educated reader can easily glean from the SPLC’s own news releases and coverage, the sophisticated reverse-spin and antiquated 1970’s-quality left-wing cover which has become a signature of the SPLC media machine. It’s become predictable to the point of ridiculousness. 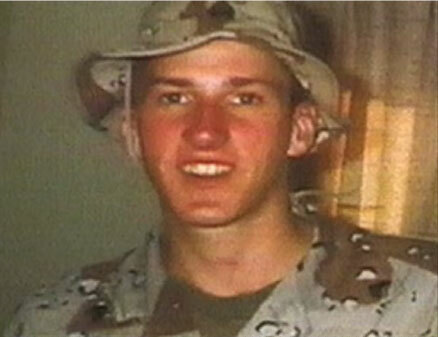 OKC’s Tim McVeigh was connected to the SPLC and the FBI’s operation at Elohim City. Most notable of the SPLC’s inventions is the concept of the “hate group”, a racially-loaded term which carries no real legal weight and is not defined by any federal statutes, yet it’s a phrase which this supposed legal organisation uses ad nausium to support any infinite number of accusations against an equally infinite number of people in the US. The SPLC has also concocted the sister term “hate group activities” in order to discredit any lawful community organizing by so-called “hate groups”. To this day, the SPLC still touts Neo-Nazis and Klansman as major players in their hate matrix, even as the rest of America watched those groups descend into comic book status. The SPLC has also pioneered the concept of “domestic extremist”, a weapon it has deployed numerous times and in different contexts to support their own alarmist claims and support a multitude of disinformation campaigns. Naturally, Patriot groups, anti-Obamacare activists, Immigration Reformists, protests against Israeli aggression, 911 Truth demonstrations, Oath Keeper meetings, Tea party gatherings and the time-honored marches on Washington would all fall under their catch-all definition of ‘hate activities’. The reality behind this office is that it no longer serves as a real and useful independent legal bureau, but rather an out-dated and clumsy propaganda tool for social engineering in the United States. Handlers of this organization may believe that the SPLC is working like a well-oiled machine, ever-effective at infecting the mainstream media with its own choice talking points. But like all tired institutions who rely on the traditional heavy and passive linear News 1.0 operating system(aka the ‘spoon-fed’ system), they can only watch as their model of traditional propaganda distribution becomes increasingly outdated by the day, as millions of active web surfers embrace the more sophisticated News 2.0 model, a model which rewards the readers and viewers who choose to dig, research, corroborate and verify their information- as opposed to accepting information(and obvious spin) on face value. A real danger does exist however when organisations like the SPLC begin to profile Americans according to their own labels and then supply their information to Department of Homeland Security (DHS) fusion centers, and finally distribute them to local police agencies. The irony appears yet again- the SPLC claims to be protecting Americans from Neo-Nazis and what it is really achieving is moving America closer to a real Nazi-style or Stasi-esque system of persecution in America. Americans need to become better guardians of their language – by not allowing the likes of the SPLC to create divisive abstract concepts by injecting doublethink all over the news for its own gain. This organization has been shown to be nothing more than a money machine, a dinosaur which makes its living on peddling its own brand of fear and propaganda to the highest bidder. Dated and bloated, thankfully it’s an organization in decline.